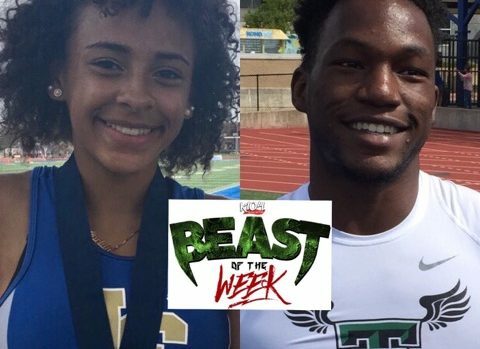 Mariah Ayers (Lakeview Centennial) and Keishawn Everly (Trimble Tech) Named Beasts Of The Week! This week’s K104 “Beast Of the Week” golden spikes go to Mariah Ayers of Lakeview Centennial and Keishawn Everly of Trimble Tech for claiming GOLD at the Jesuit-Sheaner Relays over the weekend! Mariah Ayers (Lakeview Centennial) – Mariah represented well for Lakeview Centennial with a time of 24.38 in the 200m to take home GOLD! Keishawn Everly (Trimble Tech) – Keishawn brought home GOLD in the 5A 100m making it look easy clocking in at 10.46!